Thank you for entering The Maryland SPCA�s Available Pets website. On this site, you can look at pets we have available for adoption currently in our adoption center. The list of animals is updated daily, and the animals are generally available on a first-come, first-served basis. 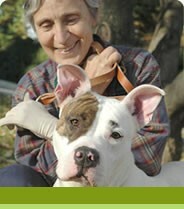 To view the MDSPCA animals, go to Search SPCA Pets. You can also look at pets available from owners who need to find a new home for them. Occasionally a pet owner is no longer able to take care of his or her pet. This site provides a way for pet owners to offer their pets for adoption to the public and for the public to view those pets, get information about them and find out how to contact the owners. The Maryland SPCA is providing this re-homing service in an effort to reduce the number of pets entering its adoption center and to provide a less stressful transition for animals into their new homes. If you are interested in viewing pets available from owners, go to Search Pets Available from Owners. To save your any of searches, you need to apply for a login first. Thanks for helping the animals of Maryland!